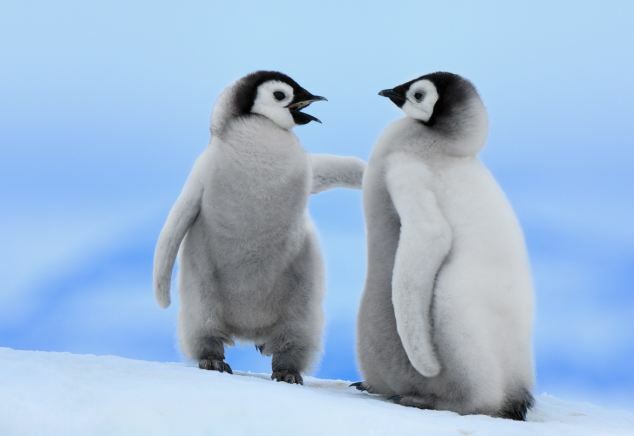 A baby emperor penguin appears to be teaching its friend how to walk in this set of adorable pictures. Either that, or it thinks it is Usain Bolt as it strikes a pose in the image of the lightning-fast Jamaican sprinter. 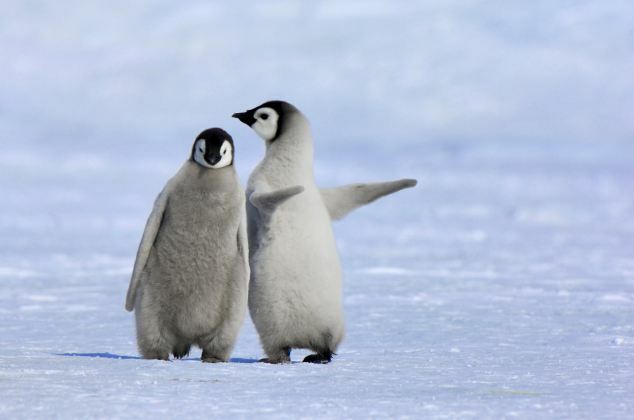 Meanwhile, another young penguin argues its case with a friend, gesturing with its wing as if to make a point. 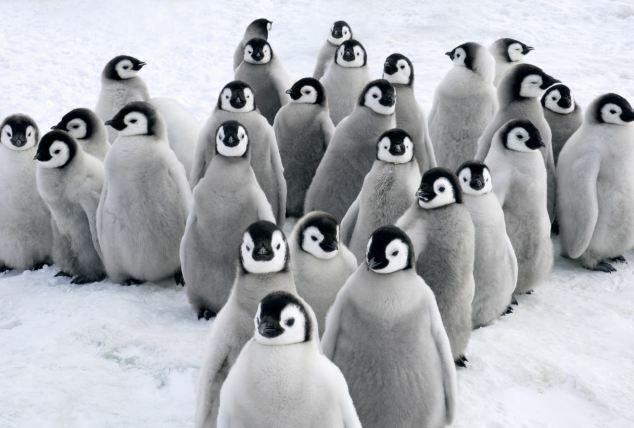 The new-born penguins are simply enjoying a tranquil day in the cold sunshine - because no predators are nearby. However, one shot has a large crowd huddling close together, hoping to stay warm in each others' company. Their curiosity entertained wildlife photographer Jan Vermeer, 51, who sat close by watching the action. 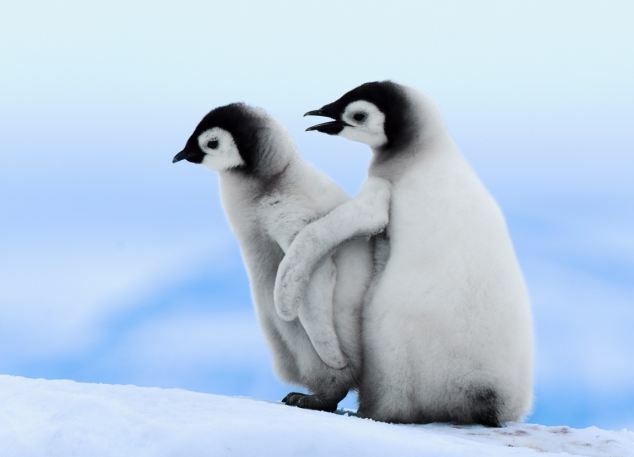 Mr Vermeer, from Apeldoorn in the Netherlands, travelled to Snow Hill Island in Antarctica to capture the shots. He said: 'Fortunately the penguins are not afraid of humans as they have never seen us before - it's the most remote place in the world. "They have no fear but they are curious and, if you wait long enough, they come closer to you.